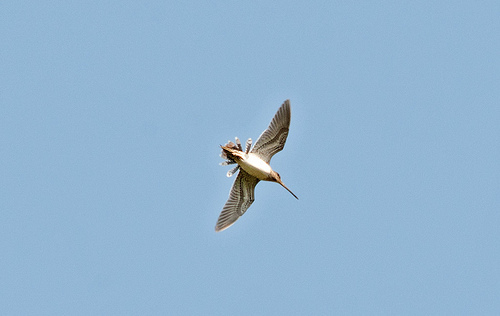 In the Netherlands the Snipe is called a 'skygoat' . During the mating season it makes a bleating sound with its tail feathers. That sound we hear less and less, because as a breeding bird the Snipe is not doing very well in western Europe. 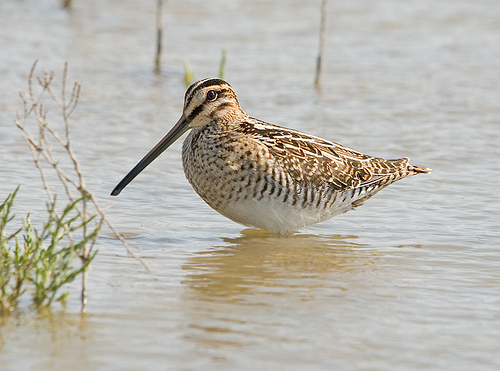 The Snipe is smaller than the Woodcock and is mostly seen in marsh areas or wet farmlands. During the courtship flight it makes a striking bleating sound with its tail feathers.